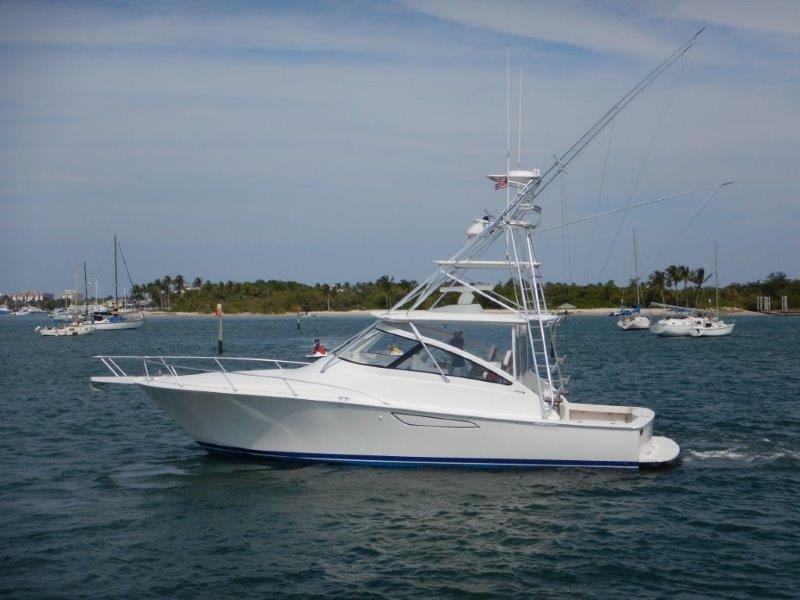 2013 Viking 42 Open "OUR TRADE"
This 2013 VIKING 42 OPEN is ready for anything whether it is offshore blue water fishing, bottom fishing, cruising with the family or diving. 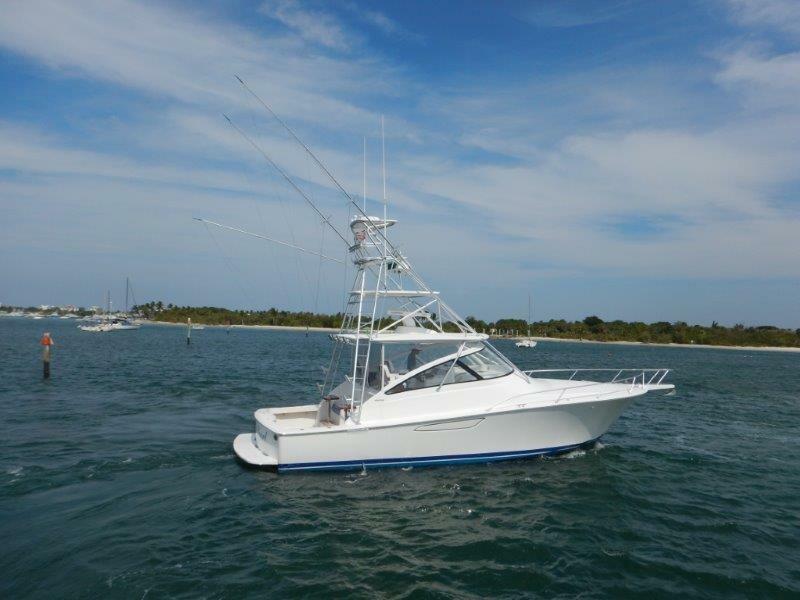 She has a Palm beach Towers Tuna Tower and all mechanical services have recently been performed. 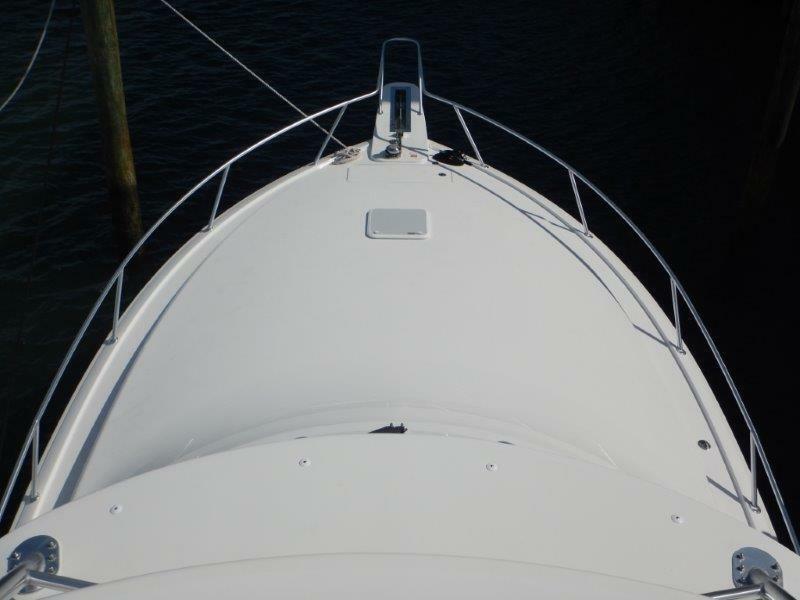 With new bottom paint and a full detail it is ready to go. 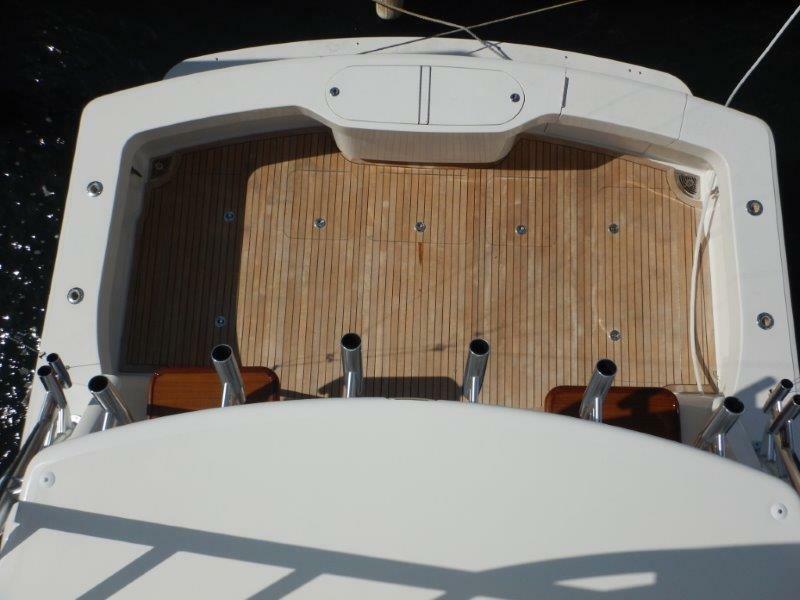 Powered with twin Cummins QSC 600 diesels and the proven and popular Zeus pod-drive propulsion system, the fiberglass deckhouse fully opens to the 120-square-foot teak cockpit with twin mezzanine seating, while a roof overhang shields the spray and sun. 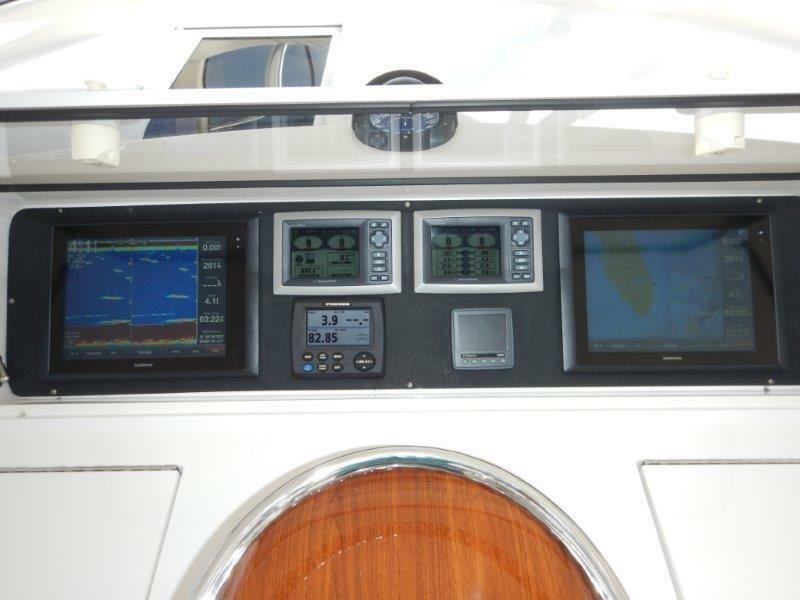 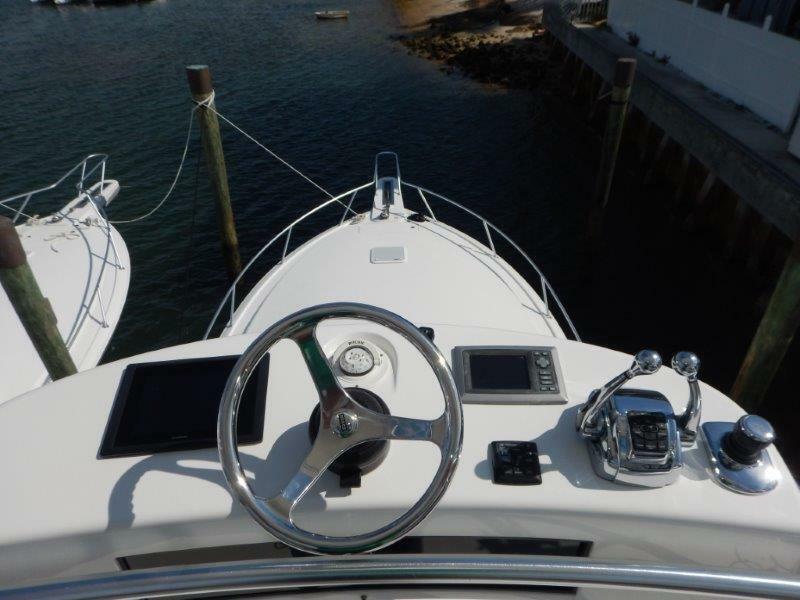 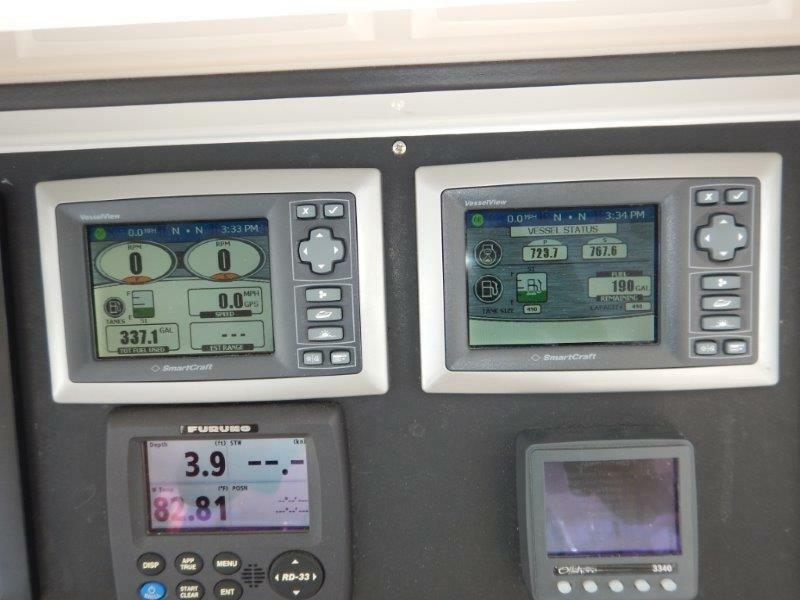 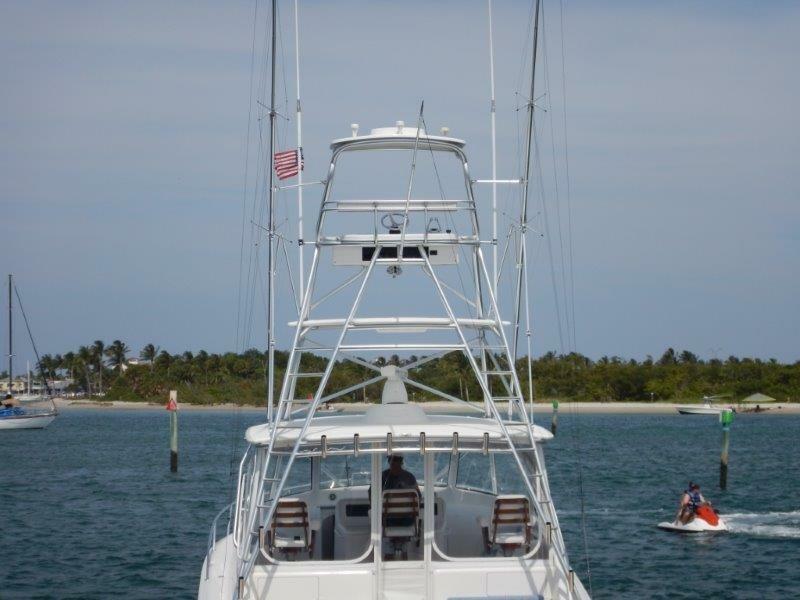 Fitted with a custom tuna tower to enhance visibility, this 42 VIKING OPEN ensures fishing prowess with quickened maneuverability provided by the joystick controls. 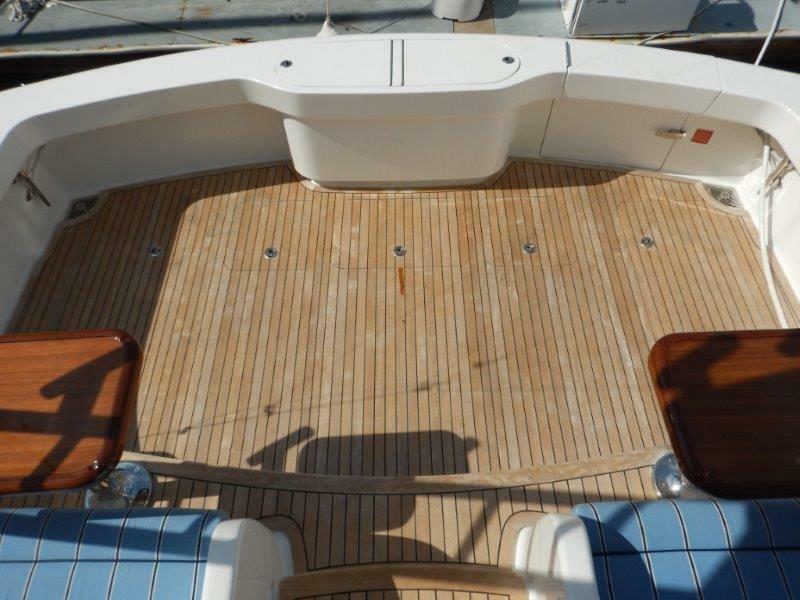 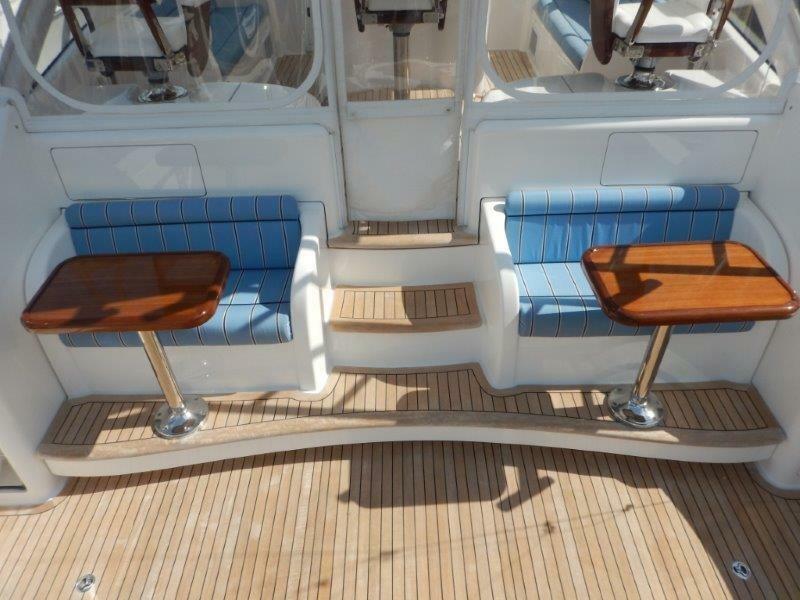 The command deck fitted with custom teak decking to match the cockpit, includes a center console helm station, three pedestal chairs with teak ladder backs, port and starboard lounge seating with stowage below, and two-step access to the cockpit. 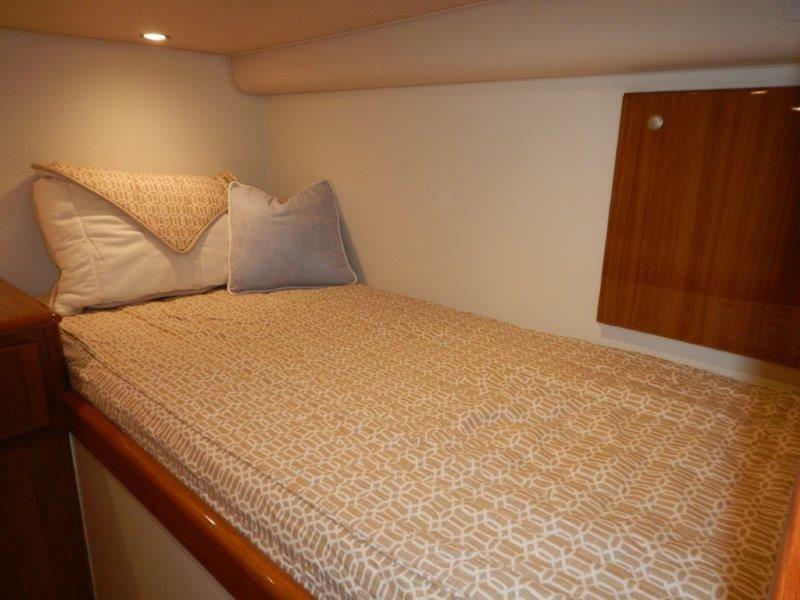 Accommodations below feature a walk-around custom queen-size bed with innerspring mattress in the master stateroom forward. 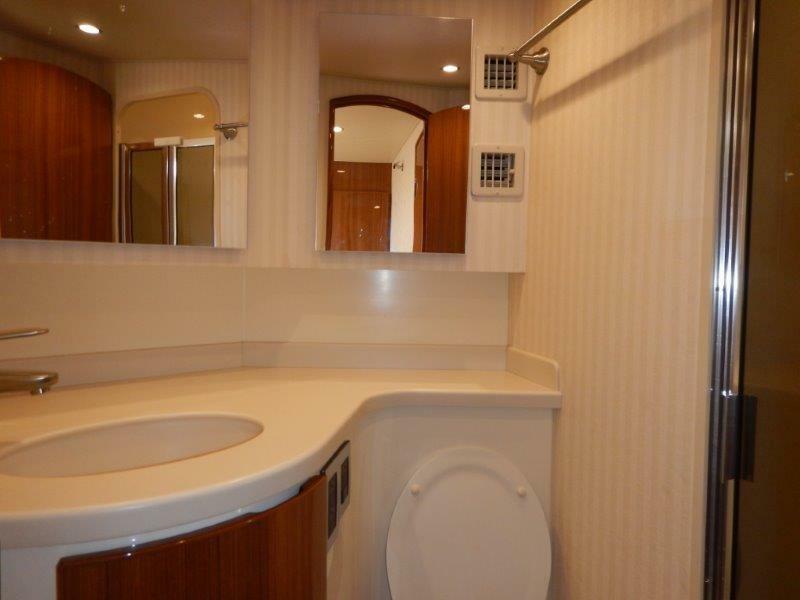 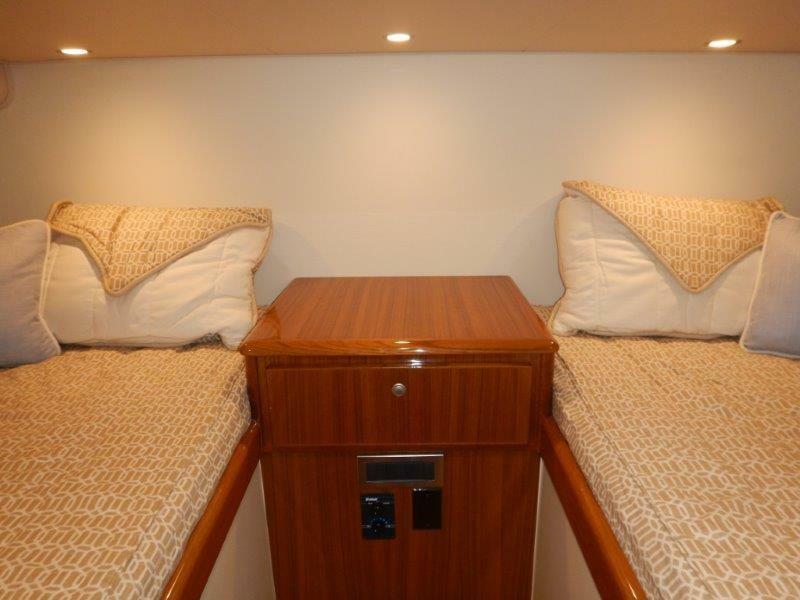 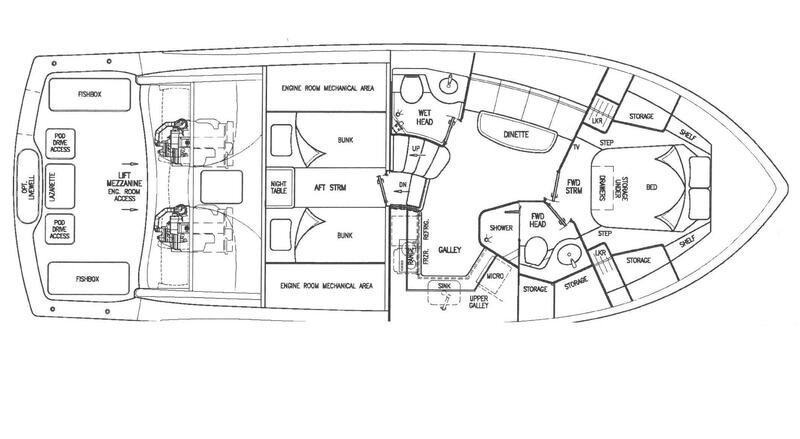 A twin berth stateroom aft beneath the command deck separates the salon, heads and galley. 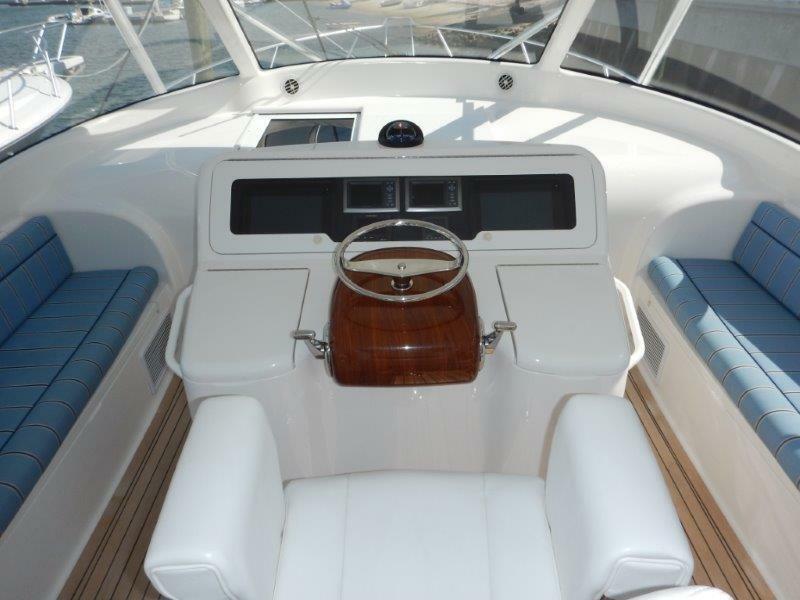 This boat is fitted with the optional “wet head” that provides a second head in the boat just as you enter the cabins below. 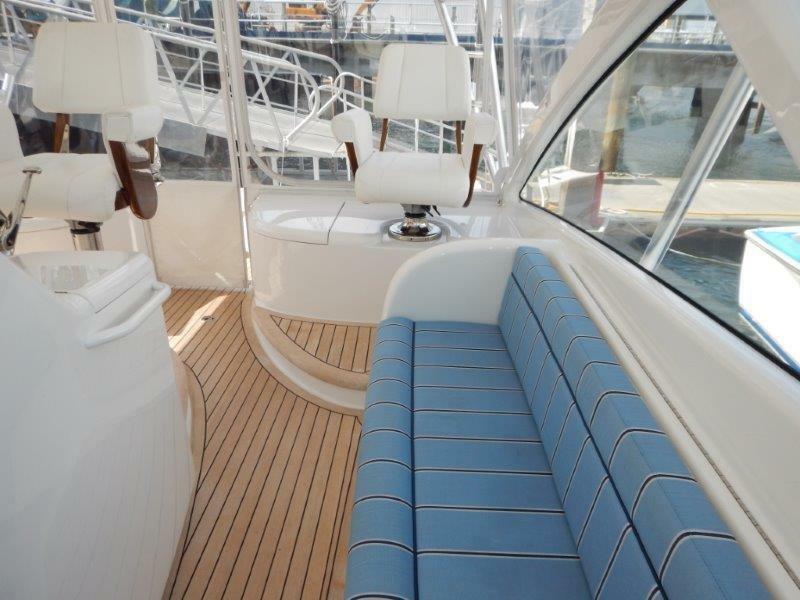 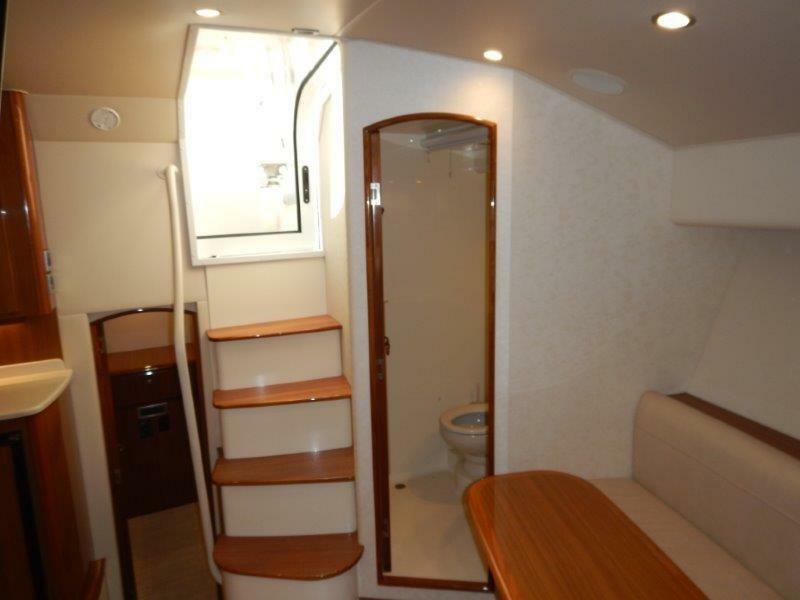 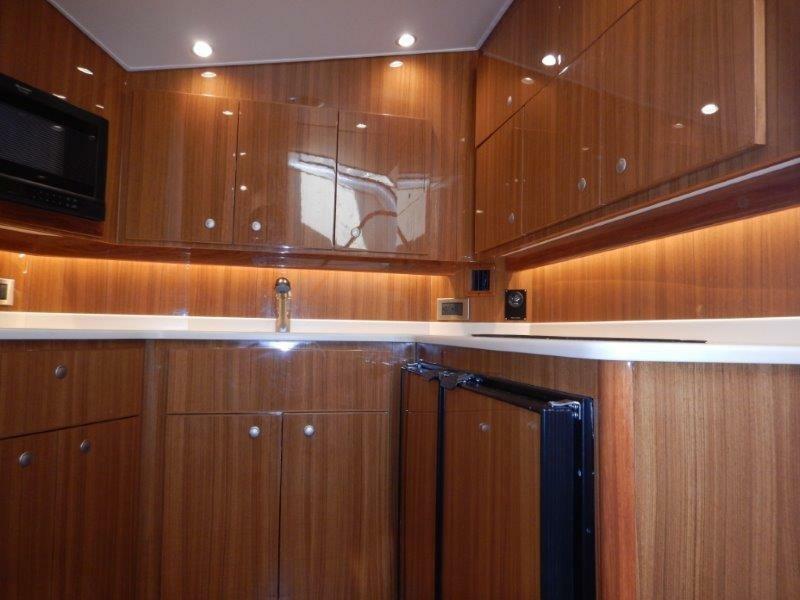 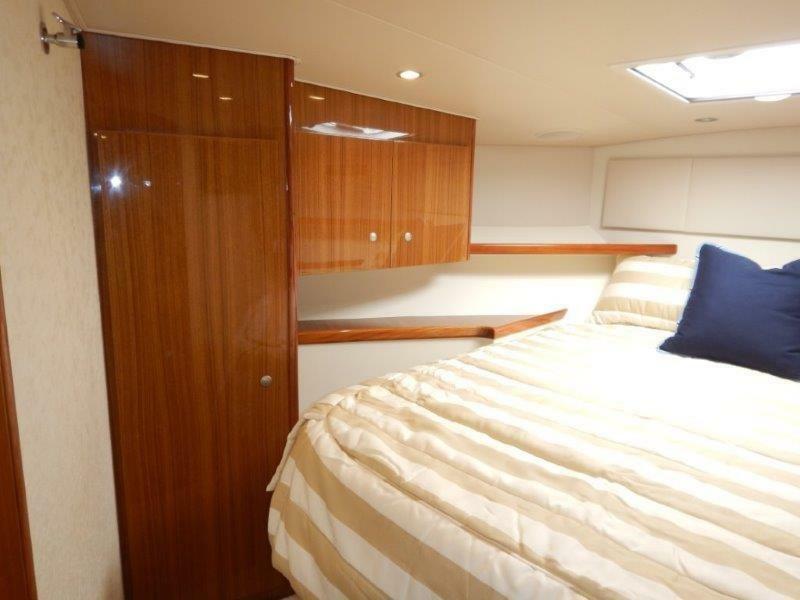 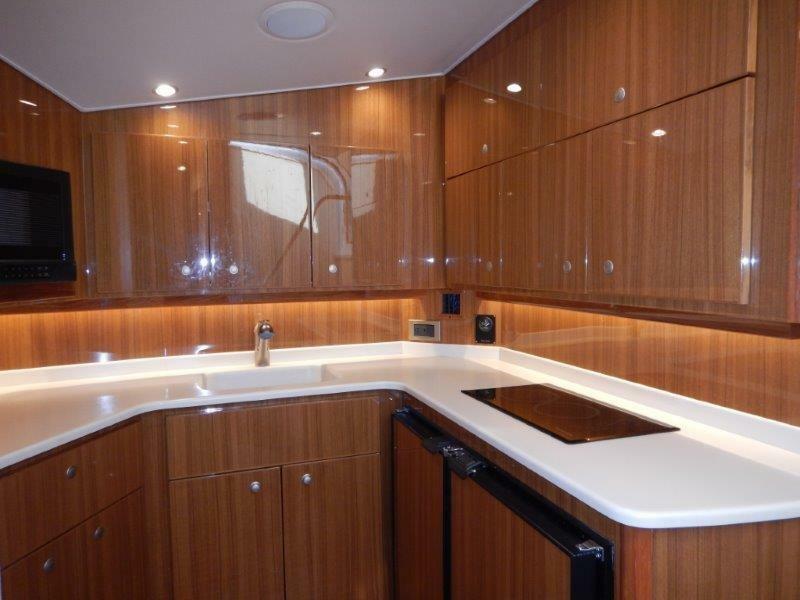 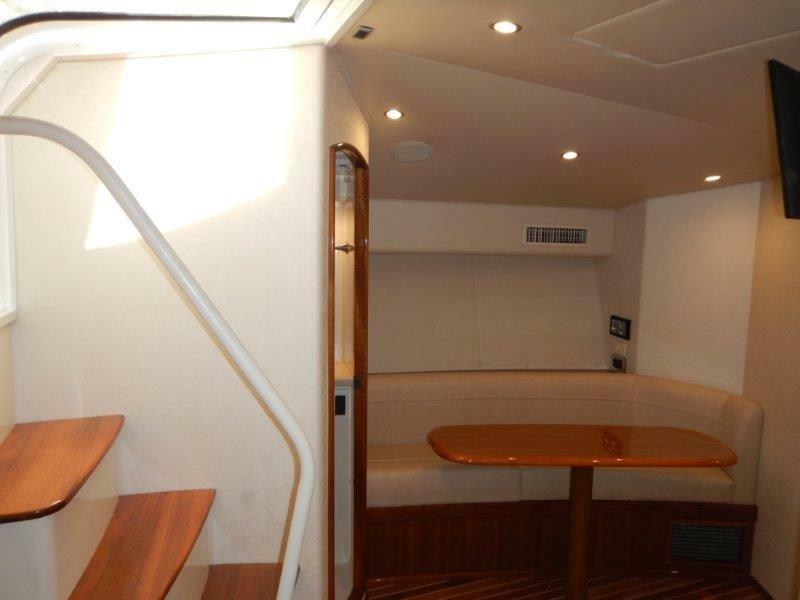 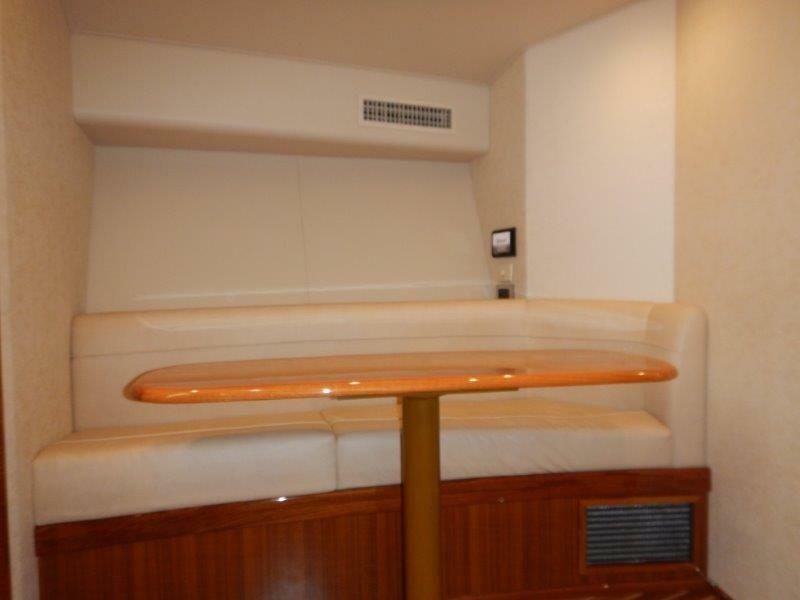 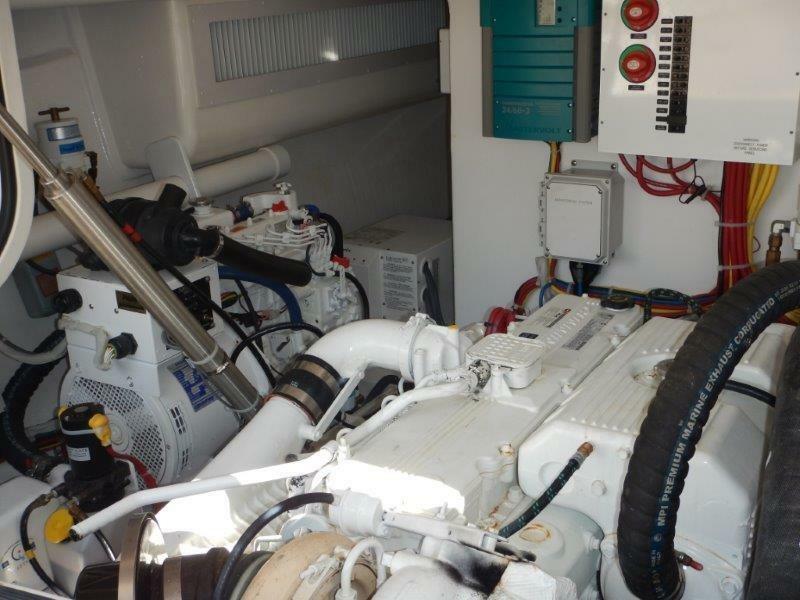 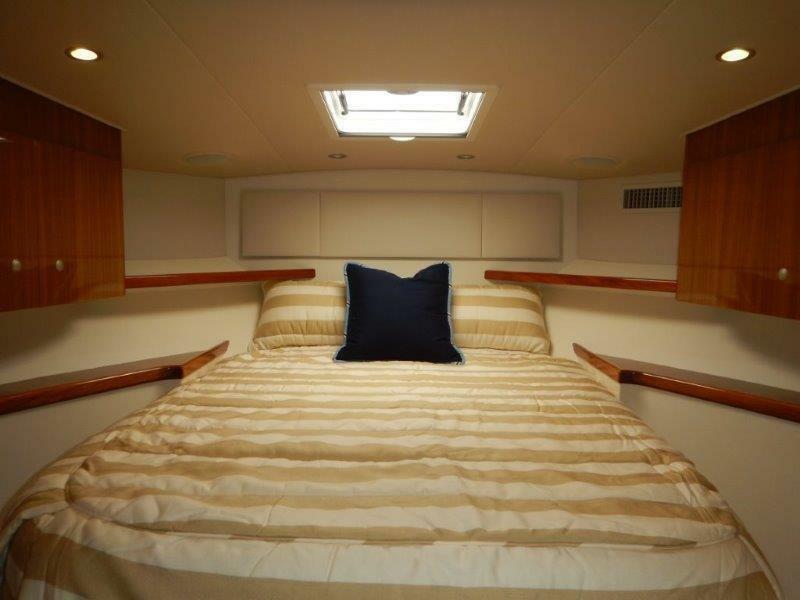 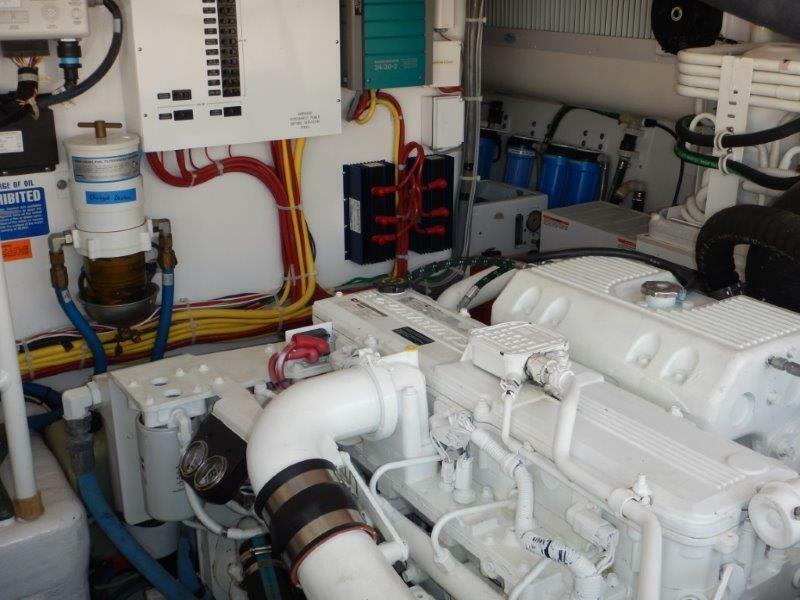 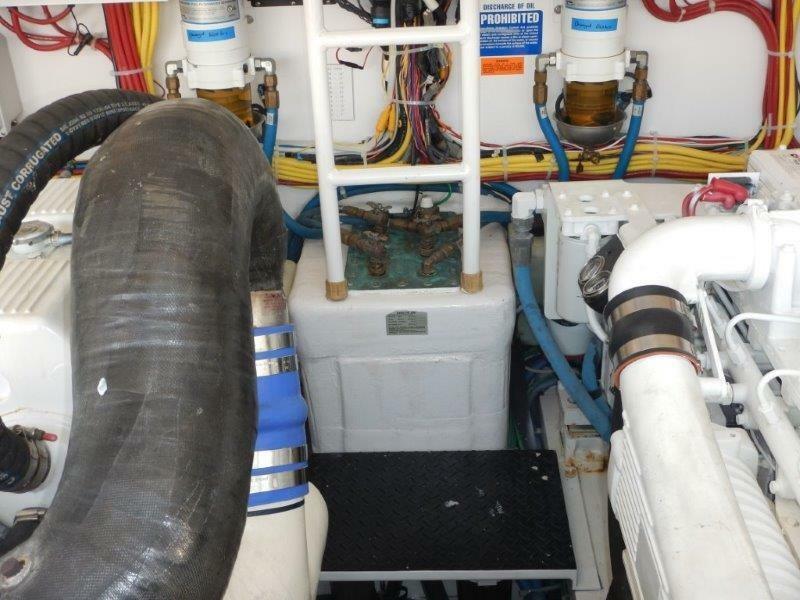 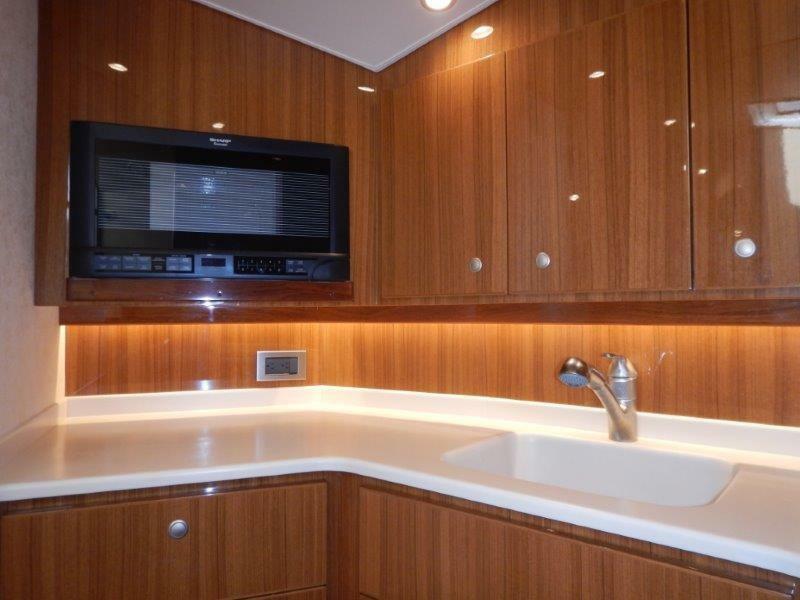 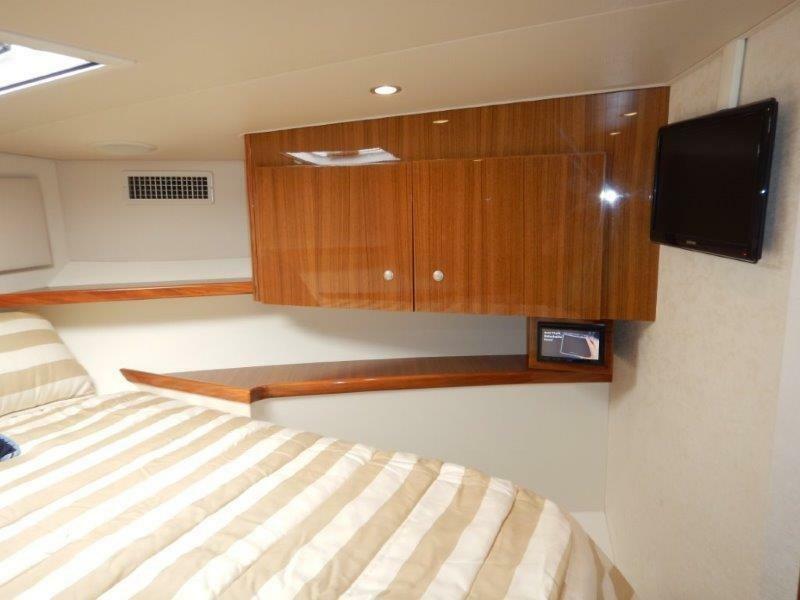 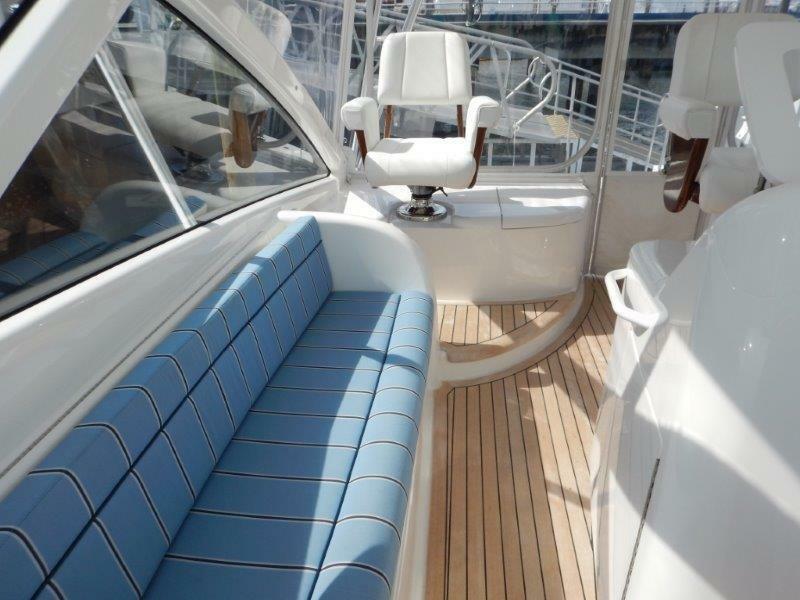 Optional custom features include a 550 GPD Sea Recovery Watermaker, Swim Platform and ladder, Lewmar V2 Windlass, Eskimo 250 crushed ice machine, custom tables for mezzanine seating, and a teak cockpit sole, mezzanine step and command deck which make this 2013 42 VIKING OPEN impressive.